I love “fly over” country. That’s the derogatory term used by the San Francisco/LA/New York leftist elites for the rest of America. 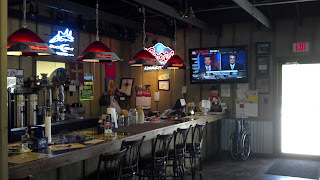 You know -- those of us who drink beer, eat barbeque, watch NASCAR and college football and think Barack Obama is purposefully trying to destroy America. Basically, every tax paying, non-lawyer, non-actor, non-government worker who has a job. For the cultural one percenters, the farms, fields and small towns they “fly over” in First Class from JFK to LAX are an embarrassment. Like the crazy uncle whose uncouth jokes they tolerate at Thanksgiving dinner. And they call conservatives like us closed minded? As Suit757, I see plenty of “fly over” country. Up close. But unlike those Park Avenue penthouse dwellers coasting on the jet stream above, I’ve actually been in the hollows, hills, and barbeque shacks below. All 50 states. Virtually every airport in America with scheduled service. Meridian, Mississippi is the epitome of “fly over’ country. To the elites, at 35,000 feet, it’s just another town of roads and roof tops carved out of the red clay hills of Eastern Mississippi. But if you are lucky enough to touch down in this corner of our country, you’ll find 50,000 souls living, working, eating and dying in the heart of real America. The leftist elites might say progress bypassed Meridian. You won’t find Whole Foods here selling overpriced hippie granola munch and vegan tofu burgers at twenty bucks per pound. When I first stepped foot in this town sixteen years ago, the only non-fast food joint turned out their lights before the kickoff of Monday Night Football. That’s 8pm here in the Central Time Zone. Now, Meridian has caught the fancy of almost every national restaurant chain in America. 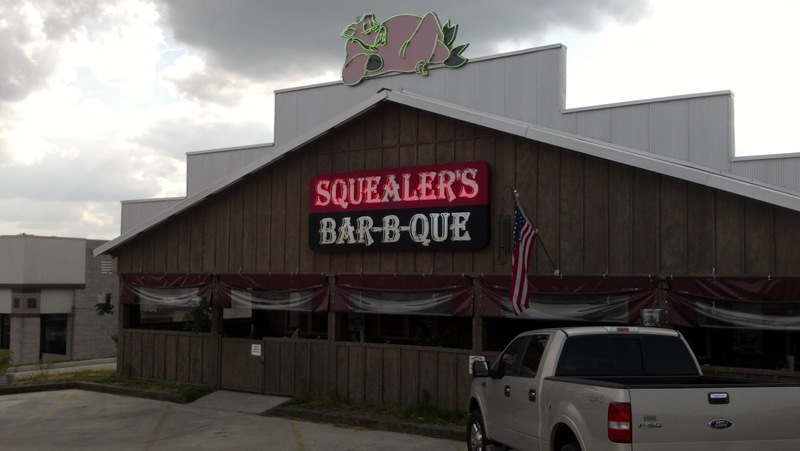 But if you want my opinion, real progress can be defined by a place like Squealer’s Bar-B-Que. 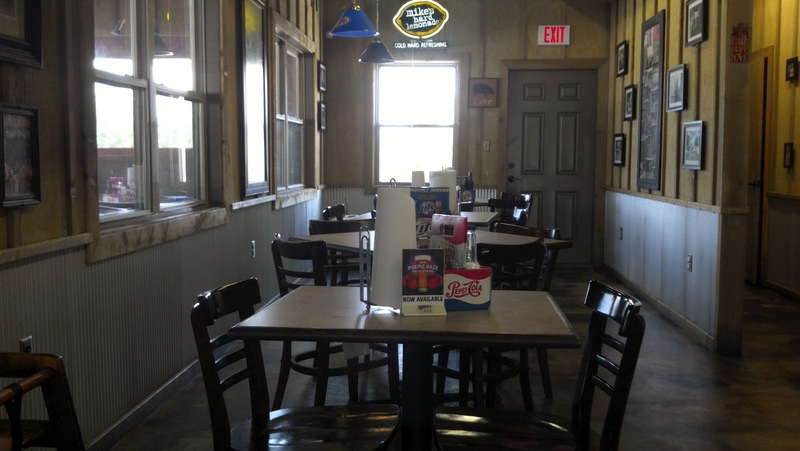 Teresa Cranmore founded the barbeque place in 1998, taking old time Southern traditions to the lucky masses who take the time to seek out real “fly over’ country cuisine. Ribs, pork and chicken slow smoked over hickory for hours. 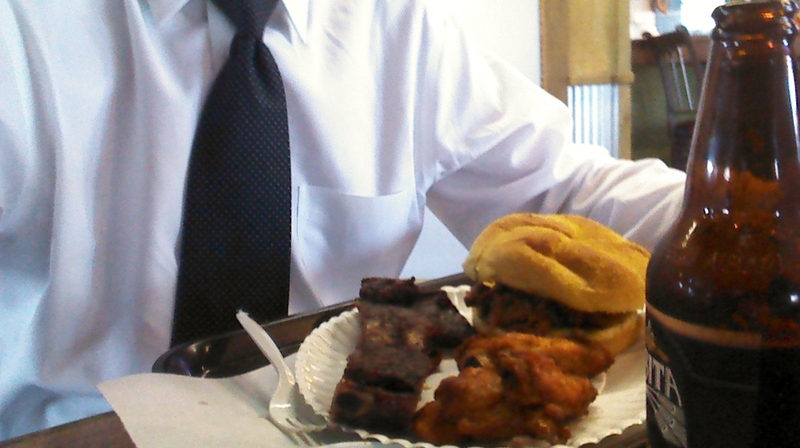 Best of all for indecisive barbeque connoisseurs like me, you can get all three in the “wings and things” combo. For less than ten bucks. I had to ask my young waitress to verify my good fortune. “Yes, sir,” she replied enthusiastically in an East Mississippi drawl. 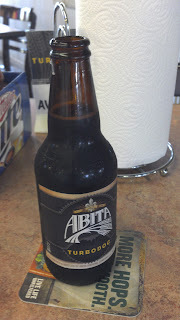 My beer was an even better deal. In a big bi-coastal metropolis, you can expect to pay five or six bucks for a decent microbrew. 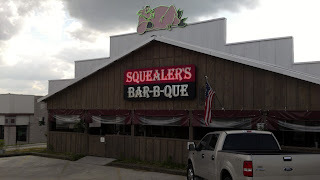 At Squealer’s? Three bucks for an Abita Turbodog. Did I tell you I love “fly over” country? The barbeque sandwich was exquisite. Smokey pulled pork marinated in a sweet tomato-based sauce on a buttery bun, this is barbeque done right. 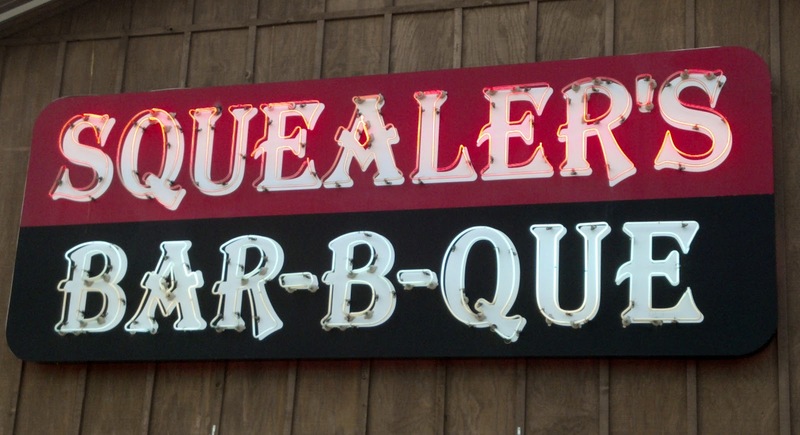 The wings are a Squealer’s specialty. The zesty sauce is baked right onto the wings, not ladled over the top like an afterthought at so many corner sports bars. But the highlight of the plate was the rib. Yes, one single solitary rib. But that one rib had more meat on it than some of the half racks of baby backs I’ve had at the big city chains. 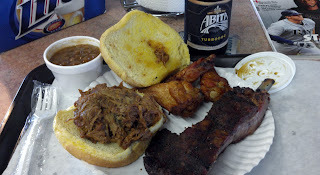 That one rib, smoky and tender, contained enough pig meat to qualify as a decent sized meal. Which was convenient, because this was the only meal I was going to get for at least 24 hours. While the rib meat was outstanding on its own, I couldn’t resist the urge to pop off the cork on the mini “moonshine” jugs of sauce placed in the Miller Lite carrier at the center piece of my table. 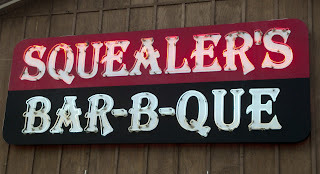 Just a touch of the sweet sauce elevated my rib to close to barbeque perfection. As I gnawed off every last scrap of pork from the bone, fingers sticky with charred meat and barbeque sauce, I couldn’t help but think about those deprived cultural elitists jetting over Meridian at that very moment. I mean, do these folks ever discover the great joys of America? Like attractive waitresses with sweet southern accents? 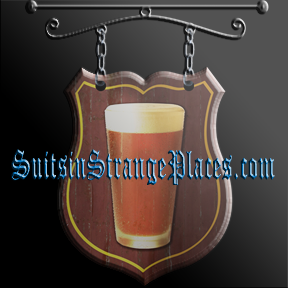 Or three dollar microbrews? Or the fun of eating dead sticky animals with their fingers? Nope. And they probably never will. But that’s okay. That just leaves more of what makes America great for you and me.